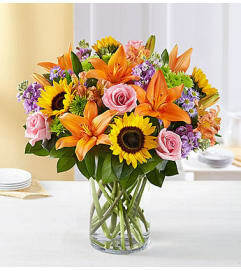 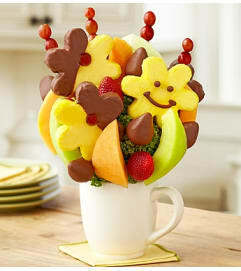 Mom always knows best–so give her the best! 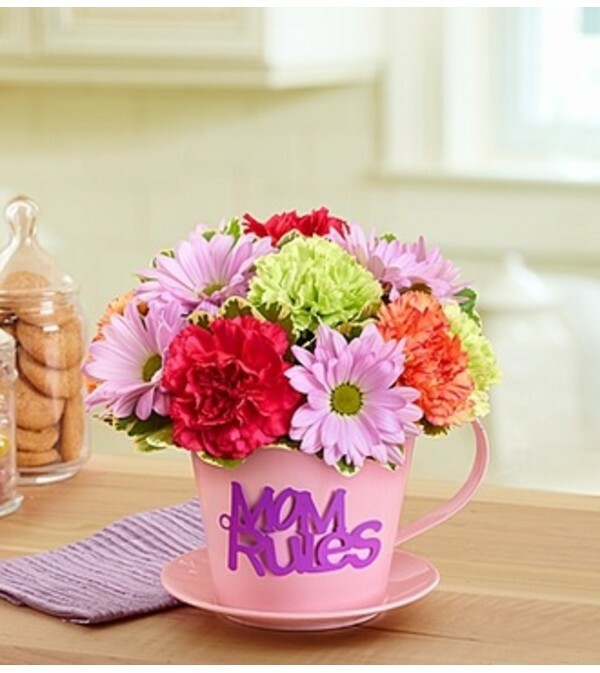 This bright bouquet of roses, carnations and daisy poms is served up by our florists inside an oversized pink tin tea cup. Add on a charming "Mom Rules" magnet and smiling will become one of her golden rules.